6. Change the name to match the name of the exe. 13. Your manifest may already be selected. if not click the arrow and select. Your application should now launch the Yellow UAC box requesting admin privileges. If you want to get rid of the yellow box you will need to code sign the exe. 7. It should return that it was successful and you should not have an exe that will launch using the UAC. I have successfully written a PowerShell script that will look for all exe files, check a different folder that stores the manifest files. If it exist it runs this command. 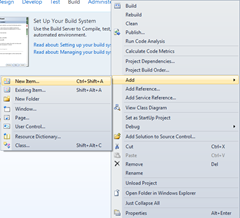 This entry was posted in Visual Studio, Windows and tagged UAC, Visual Studio, Windows SDK. Bookmark the permalink. Thank you dude, it’s very helpful. This was what I was looking for, but it doesnt seem to work now.